In his first state visit since his re-election as president, Putin will sign 17 major business and trade deals to boost bilateral trade to US$ 100 billion by 2015. The Shanghai Cooperation Organisation can also enhance trade and security and build an influential Eurasian region that could shape reforms of the international monetary and financial system. 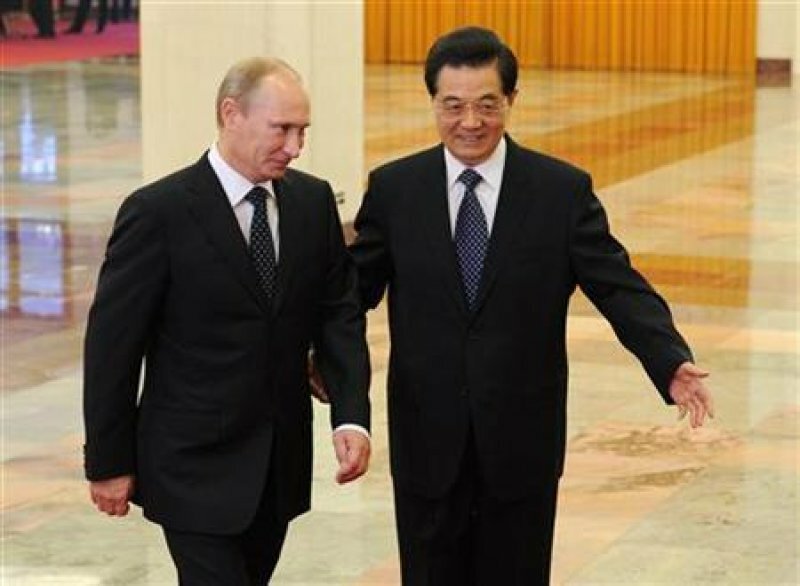 Beijing (AsiaNews) - Chinese President Hu Jintao met Vladimir Putin today. The Russian leader is on his first visit to China since his re-election as president of Russia. The visit is set to last until 7 June and is part of the 12th summit of the Shanghai Cooperation Organisation (SCO) scheduled for tomorrow and Thursday. In an editorial Xinhua stressed that such an alliance would make "the Eurasia region one of the most dynamic parts in the world." The Shanghai Cooperation Organisation (SCO) is one way of doing that. Established in 2001 to increase security and counter terrorism (especially Islamic), it originally had six members, namely China, Russia and four former Soviet republics (Kazakhstan, Tajikistan, Uzbekistan and Kyrgyzstan). But rapidly, the organisation took on an economic function. At present, India, Iran, Mongolia and Pakistan have observer status within SCO whilst Belarus and Sri Lanka are partners. Tomorrow's meeting will see Afghanistan and Turkey join as observer and partner respectively. The summit will also push for a regional bank and a transnational transportation network. For Xinhua, SCO is becoming an increasingly "influential regional grouping" with security and economic cooperation as its "two wheels". Closer ties between China and Russia would also give SCO greater influence in possible reforms to the international monetary and financial systems.